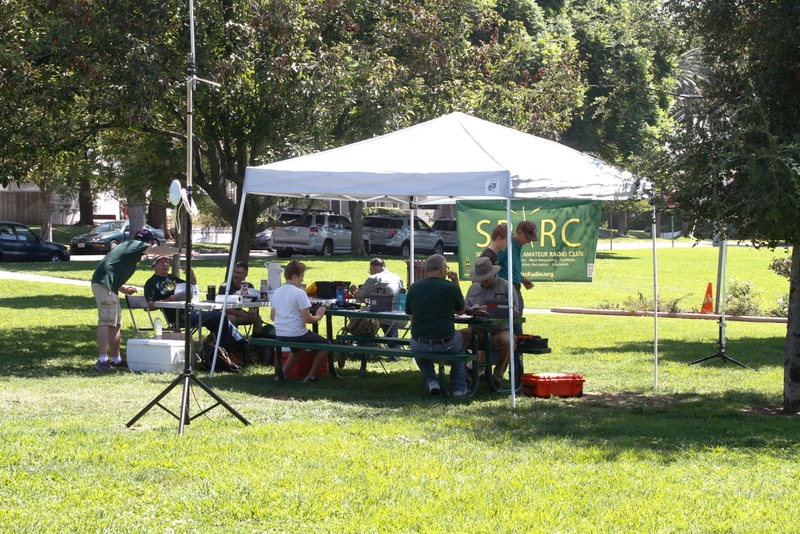 On September 8, SPARC set up two stations in Garfield Park to participate in the ARRL’s September VHF/UHF contest for a few hours. We made thirty contacts on FM and SSB and tested mesh nodes. Several members of the public stopped by — some who had prior ham experience and some who were just curious about all the wires. Thanks to everyone who helped with set up and clean up! Contests are a great opportunity to spend time operating and testing equipment, so don’t hesitate to stop by the next time we take part in one. Photos by Robert K6YZF. SPARC will have a booth once again at the annual South Pasadena Police and Fire Department Open House on Sunday, September 16. The open house runs from 10am to 3pm. We will be located in the courtyard behind the fire station. This fun and informative event runs in conjunction with the Cruz’n for Roses classic car show supporting the SouthPas Tournament of Roses float committee. 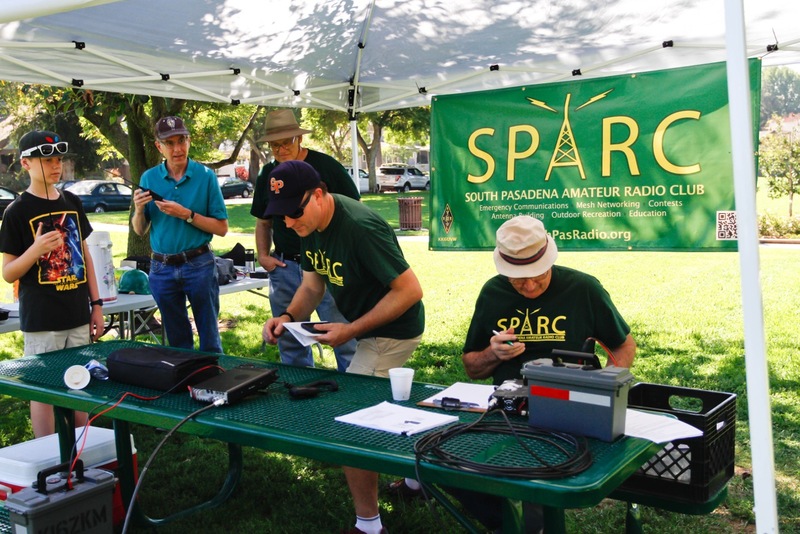 Come meet SPARC members, see some radio gear, and learn about our activities. Hope to see you there! 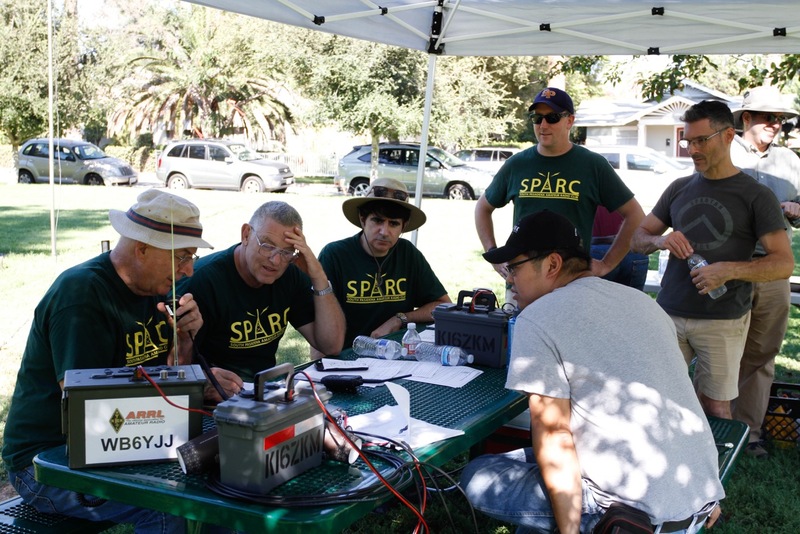 SPARC will be participating in the annual ARRL September VHF Contest. We’re not looking to walk away with any giant trophies, the goal is to test our gear, get some practice operating, and have fun. All club members are invited to participate. Members of other local clubs, CERT, Neighborhood Watch, and the community are encouraged to visit and see what SPARC is all about. SPARC members who would like to help with the set up process can arrive at 9am. Testing a mesh node in preparation for the September VHF contest. We will set up two stations, 2m and 440. Feel free to bring your own gear for some show and tell. If you bring your own handheld or mobile and sufficent power (fully-charged battery, mobile go kit, etc.) you can connect to our antennas at a convenient moment. 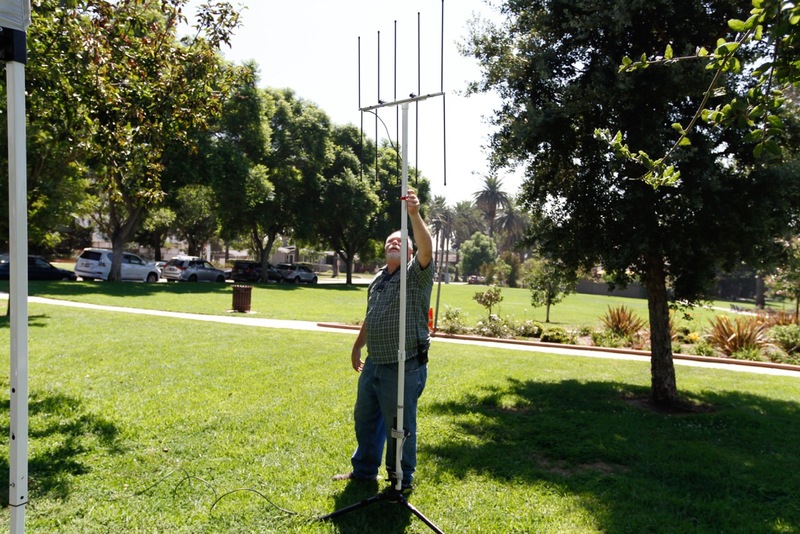 If you’d like to test your own antenna system, make sure to consider the safety of others and include any hardware required to set up in a stable and considerate manner. There are a limited number of picnic benches near the Garfield Park tennis courts, so bring along a camp chair if you’d like to stay for a while. If you can’t make it to the park, be a contact! Our talk-in frequency will be 145.600. We hope to see you or log a contact with you on September 8. Our long awaited NBEMS (Fldigi) and Winlink Basics Workshop has been scheduled for July 28, 2018, that is Activity Day, at Huntington Memorial Hospital from 9:00 am to 1:00pm! Our goal is to enable participants to send and receive messages using Fldigi/Flmsg and Winlink and understand current best practices for both. Tho goal of this workshop is to provide radio operators with experience and a deeper understanding of using NBEMS/Fldig and Winlink Packet for emergency communications. There will be hands-on exercises for those who want to try out their setups. Any licensed amateur radio operator is welcome to join! We do ask that you familiarize yourself with your own radio beforehand, i.e. understand how to enter simplex and repeater frequencies and change power levels. SPARC been invited to march in the South Pasadena 4th of July Parade. The parade starts from the South Pasadena Public Library marshaling area and proceeds down Mission Street to Garfield Park. The parade officially begins at 11:00 am. If you are interested and able, please assemble in front of the library on El Centro Street before 10:30 am. We are in group #12 along with Neighborhood Watch and CERT (the street will be numbered). Invite other friends and family to participate too! Bicycles and scooters are allowed for the kids. Be sure to wear your SPARC t-shirt. Field Day 2018 was a fun-filled twenty-four hours of outreach, learning and socializing. 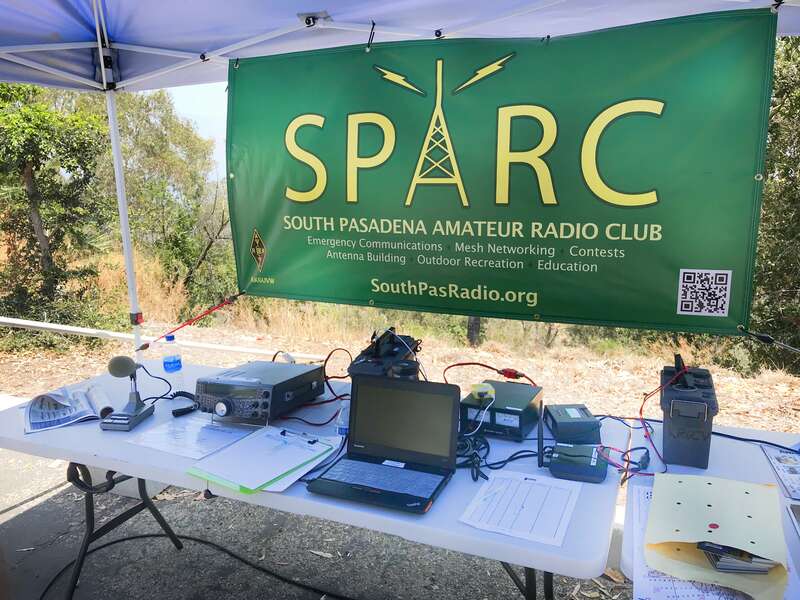 Hams from SPARC, Pasadena Radio Club, JPL Amateur Radio Club and Caltech Amateur Radio Club joined forces to operate seven different stations atop the Arroyo Seco at the Art Center College of Design. 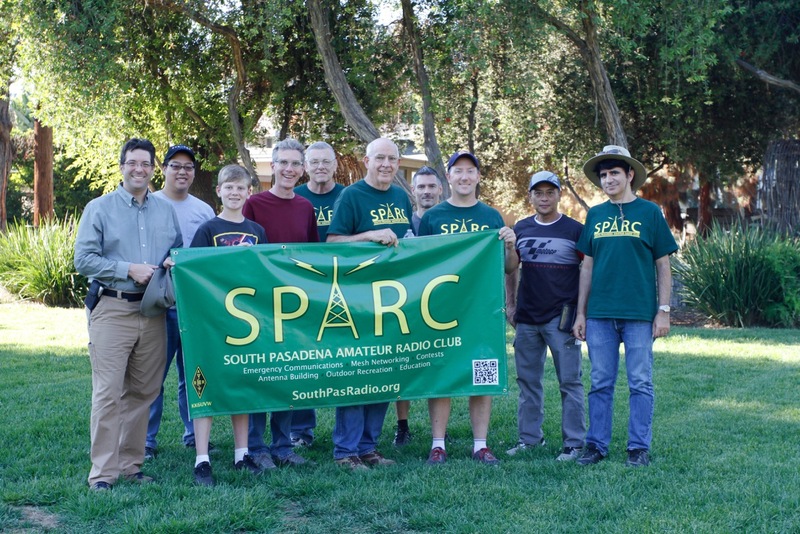 PRC’s Jim Marr AA6QI was our Field Day captain coordinating volunteers from the four clubs. SPARC was proud to run a Get on the Air (GOTA) station where visitors could try out a radio and make contacts without needing a license. We answered lots of questions and encouraged curious guests to take the plunge into our hobby. Here are the reported number of contacts (QSOs) from each station. Huge thanks to Jim Marr for making everything run so smoothly. To all the participating volunteers and to all the eager visitors, thanks for making Field Day 2018 such an enjoyable and memorable experience. Hope to see you soon at a meeting and hear you on the air! A future ham gets on the air. 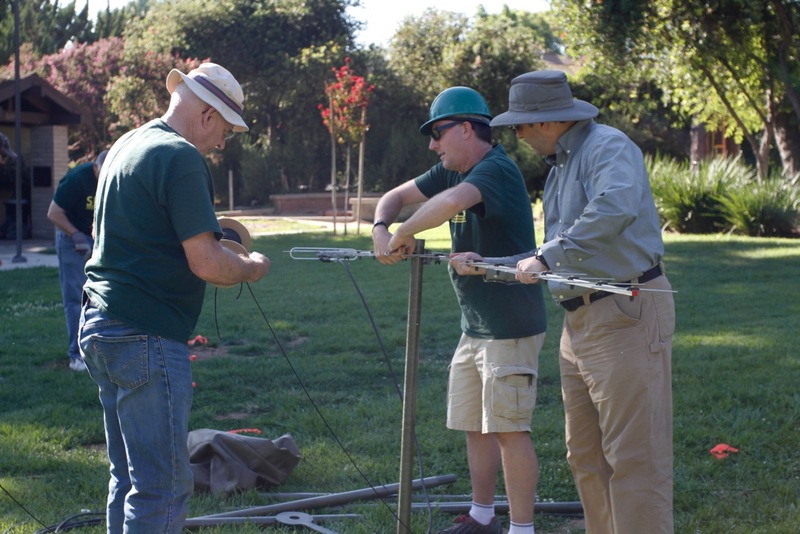 SPARC president Stan KR6CV and JPL’s Jonathan KF6RTA adjust the Cushcraft ATB-34 tri-band Yagi. Jeff W2JCL and Jim AA6QI work 15m inside the JPL van. Bob WB6YJJ set up a personal station powered by his SPARC battery box. A motorized satellite-tracking antenna operated by Tom WA0POD. Observing sun spots at the astronomy station. Jeff W2JCL and PRC president Eric K6EJC working the night shift. Our local paper, the South Pasadena Review, ran an article on the GOTA station in its July 6 edition. Photos by John KK6ZVQ and Tom WA0POD. Updated 07/08/18 with links to South Pasadena Review article. How often do you get to write that headline? The speaker at our June 6 meeting was scheduled to be Veronica Verde, External Affairs Officer for FEMA Region 9. Ms. Verde travelled to Hawai’i to deal with a record-breaking flooding event in April. And now, thanks to the eruption of Kilauea, her assignment has been extended. We look forward to talking with Ms. Verde at some future point after the wrath of Madam Pele has subsided. In the meantime, we will use our June meeting to discuss Field Day (June 23-24) and other upcoming activities. We will return to our traditional meeting location at the SPFD Emergency Operations Center, 817 Mound Avenue, at 7:30pm. See you there. 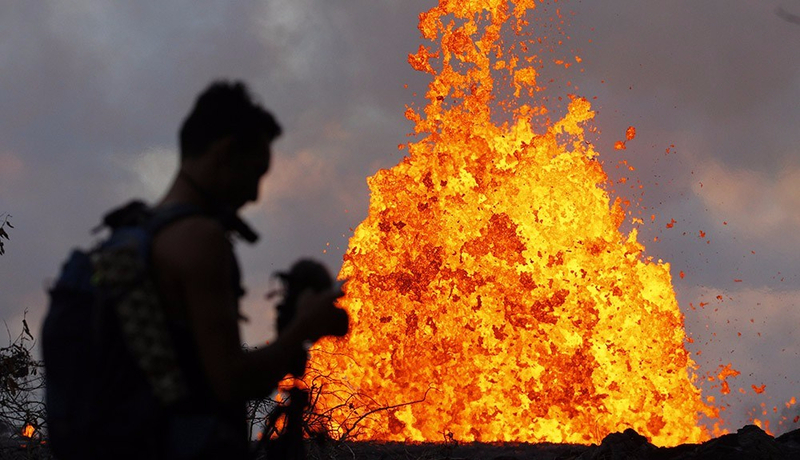 Lava photo by George F. Lee for the Honolulu Star-Advertiser. Veronica Verde photo by Wayne Yoshioka for Hawai’i Public Radio. This year SPARC is proud to join with the Pasadena, Caltech and JPL Radio Clubs to sponsor a station at Art Center College of Design. The station will operate from 11am on Saturday June 23 until 11am Sunday June 24. 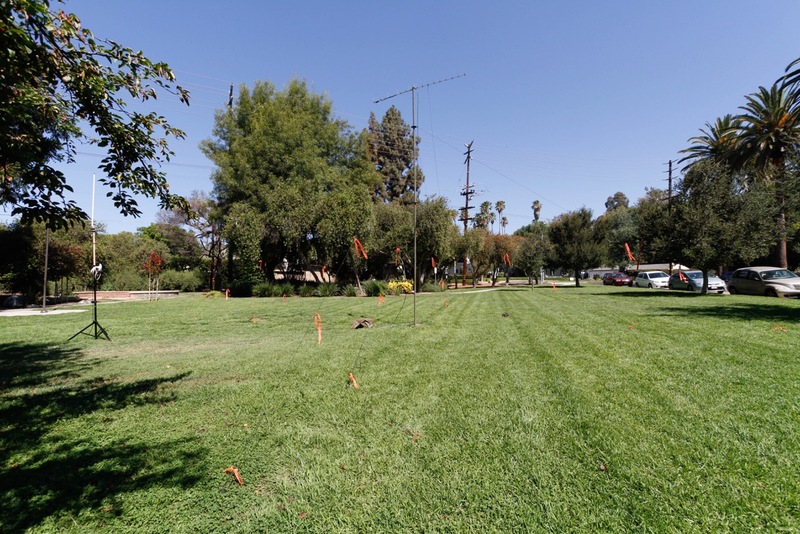 The address is 1700 Lida Street, Pasadena, 91103. Below is a flyer for the event put together by the PRC (click for PDF version). 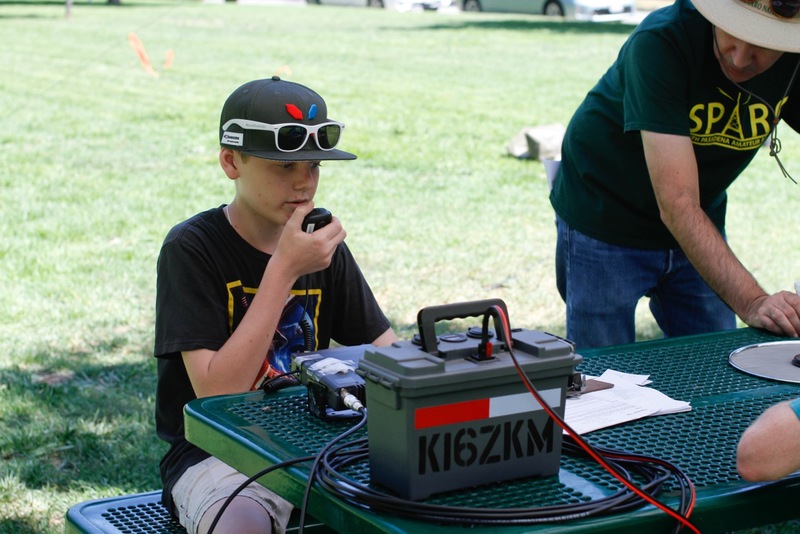 Field Day is always a fun and family-friendly event, a perfect opportunity to see experienced operators in action, learn about radio gear, and even get on the air yourself. 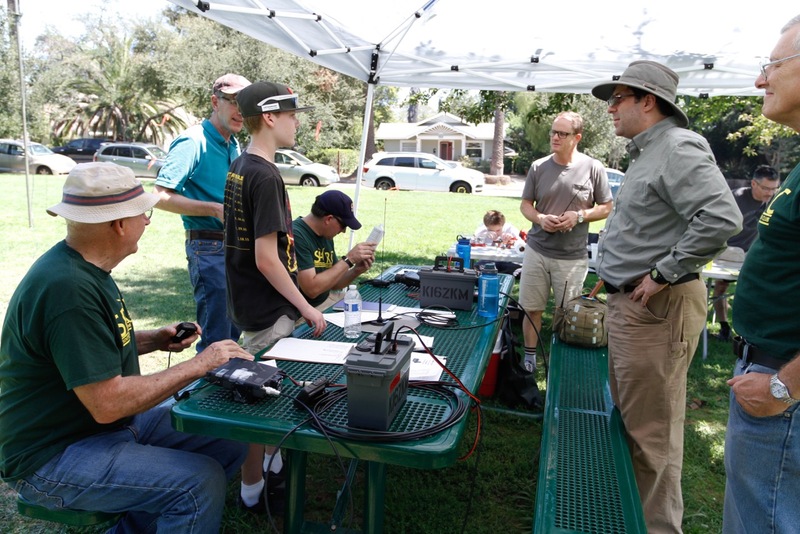 To learn more about Field Day, read this ARRL guide. Stop by and say hello! SPARC extends its thanks to Dr. Vidale for his time and to all the guests who asked such interesting and engaging questions! Please join us on Wednesday, May 2 at 7:30pm for a special presentation by John Vidale, director of the Southern California Earthquake Center at USC. He will discuss the capabilities of the Earthquake Early Warning System, what it can and cannot do. 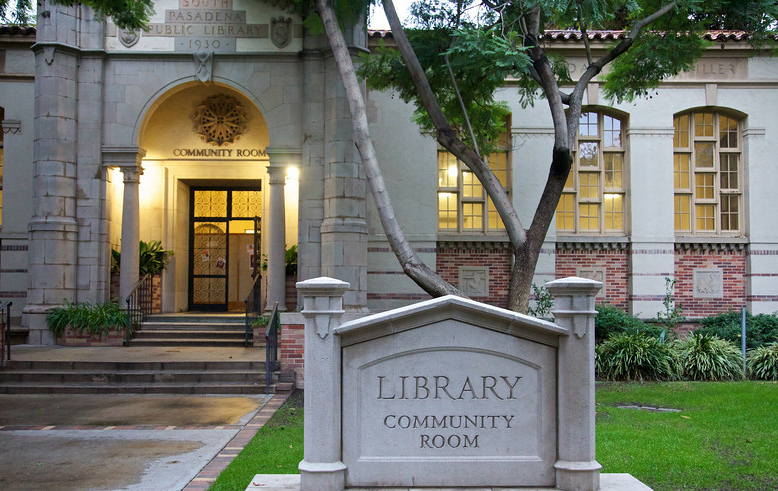 Anticipating a larger-than-usual crowd, our meeting will be in the South Pasadena Library Community Room at 1115 El Centro St. rather than our normal location at the fire department. 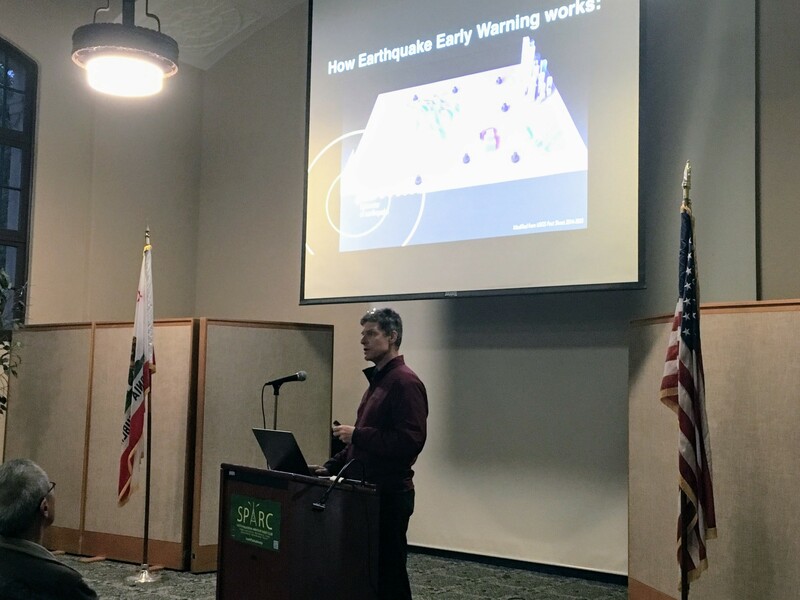 John Vidale has been a professor at USC and director of the Southern California Earthquake Center since 2017. 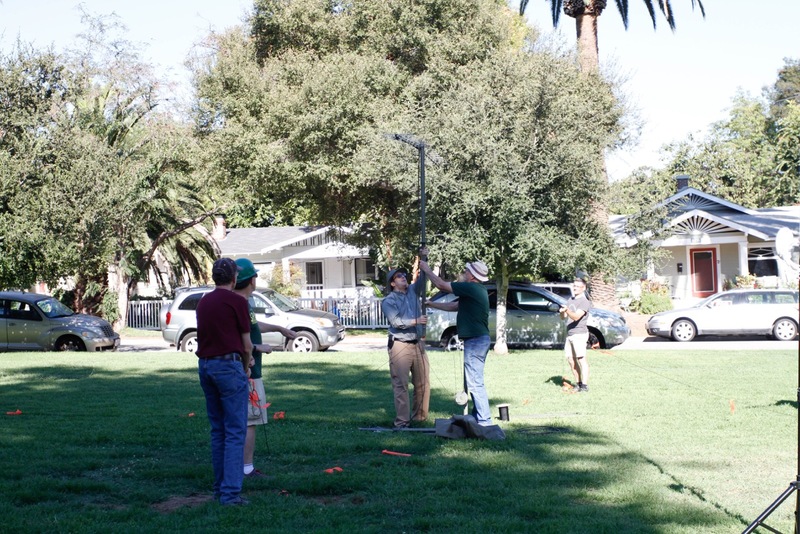 He earned his PhD from Caltech, worked for UC Santa Cruz and the USGS in Menlo Park, then taught at UCLA for a decade. Prior to taking his current position, he was a Professor at the University of Washington, Director of the Pacific Northwest Seismic Network, and the Washington State Seismologist.